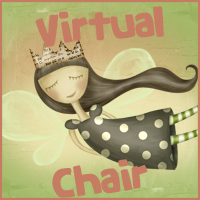 Bookittyblog YA Book Reviews: Scan by Sarah Fine and Walter Jury Review & Giveaway! 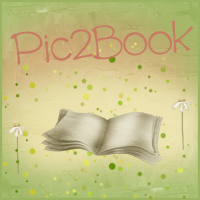 Scan by Sarah Fine and Walter Jury Review & Giveaway! All Tate knows--like how to make weapons out of oranges and lighter fluid--may not be enough to save him as he’s plunged into a secret inter-species conflict that’s been going on for centuries. Aided only by his girlfriend and his estranged mother, with powerful enemies closing in on all sides, Tate races to puzzle out the secret behind his father’s invention and why so many are willing to kill for it. 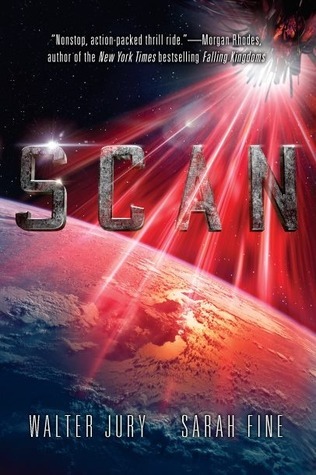 A riveting, fast-paced adventure, Scan is a clever alien thriller with muscle and heart. Most of the time I have a hard time with sci-fi books. Which is silly because most of them are super exciting and fast paced. I'm just not a big fan of the genre. I only picked this one up because I adore Sarah Fine! She wrote Guards of the Shadowlands which by the way is one of my favorite series ever. So I had to give Scan a try. I was definitely not disappointed. Right from the get go I couldn't put this book down. It was fast paced and action packed. The first few pages I was a little frustrated with Tate's dad. He was strict about everything! It made me feel bad for Tate but in the end it was for his own good. He's character development amazed me. This kid was so smart and brave. I don't know what I would have done in his place, really. The secondary characters were interesting and amazing, as well. Scan was overall a win. I recommend Scan 100% to all kinds of readers. Fine and Jury wrote an amazing book and I wouldn't want you guys to miss out! Don't foget to visit Alexa's @ Colletions and Joy's @ Joyousreads page and read their reviews of Scan! This giveaway is INT'l and ends 4/26. Good luck!! that's so nice to know! I also have a problem with Sci-Fi books but it happens that I can be surprised. I'll have to keep in mind this one I think. thanks for the review! So glad you liked this one, I just love Sarah's work! Sci fi books are not my first choice either. But I've read a couple of good ones and this sounds intriguing! This was a great review! This book sounds very interesting and is something I would love to read! Thanks for the giveaway!!! I've always loved Science Fiction, so this book sounds right up my alley. I'm looking forward to checking out Scan. I had this book as my WoW post. The book sounds Awesome. It's awesome that you found a sci-fi book that you love. I'm a fan of sci-fi sometimes, so I might check this one out! Ooh this sounds really interesting!